England's Seven had a bottle rocket-like existence between 1989 and 1990, spinning two singles in the latter year and performing with the likes of Richard Marx. Then they were gone. But some remembered them, not the least of which was Escape Music, who gathered the band back together to record a proper debut album, aptly titled Seven, in 2014. That's the short version of their history. Check Wikipedia or elsewhere on the Internet for more detail. 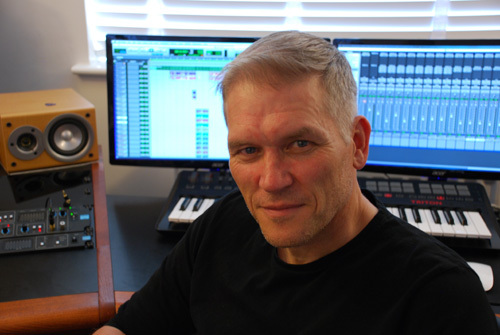 Seven and Shattered are, by very definition of the classic genre, AOR melodic hard rock in the best tradition, straight out of the glorious heyday of the Eighties. I know the phrase is often over used, even by me (Ha! ), but after several listens I can safely say this album is "all killer and no filler." There's many reasons why, yet the fundamental two are simply good songwriting and exceptional musicianship. 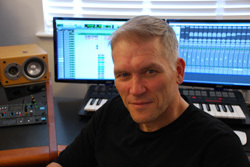 It's the perfect storm of melody, harmony, and groove embracing everything from intelligent lyrics to catchy refrains, colorful keyboard atmosphere and embellishment to blazing lead guitar solos. And in this mix, Mick Devine sounds amazing. This fellow is a pure rock vocalist, plain and simple. The vocals and vocal arrangements are to die for. The song mixture is pleasing as well. There's rockers like Pieces Of You, Taking Over, A Better Life, and Light of 1000 Eyes, that even touch that metal edge. With Fight you have an arena rocker, then with Broken Dream and I Needed Time, arena anthems. So what's the bottom line? Perhaps you need to reread my words, if you didn't get it. 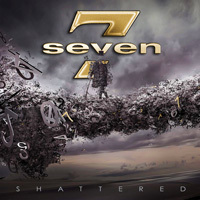 Seven's Shattered is exceptional, even premium, AOR melodic hard rock which will certainly please any fan of the same. Get it. Strongly recommended. Seven's Shattered is exceptional, even premium, AOR melodic hard rock which will certainly please any fan of the same. Get it. Strongly recommended.